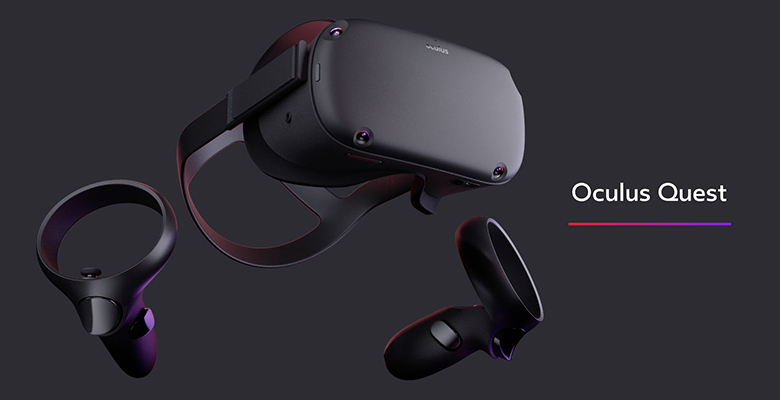 Oculus came out swinging at their Connect event this year with the reveal of Oculus Quest, their newest wireless VR headset that’s said to offer full-length VR gaming experiences without the cords and clutter of a traditional VR headset. Even better, Oculus also revealed that Oculus Quest will roll out this spring starting at $399. Oculus Quest sounds like it’s meant to be a middle ground between the Oculus Rift and the Oculus Go, offering l wireless VR experiences closer to the quality found on the Rift while cutting out base stations and the need for a VR ready PC. Oculus claims to already have 50 Rift-level titles ready for the platform with more on the way including titles like Moss, Robo Recall, and The Climb. Without providing a step up from the Rift in terms of performance, it’s likely that Oculus Quest isn’t really meant to be an Oculus Rift 2.0, but is instead meant to be bridge between the mobile and PC VR markets. Quest is meant to be for portable, on-the-go VR experiences that don’t necessarily require a heavy-duty VR PC but that still need full tracking and motion controller support to be enjoyed. On the other hand, Oculus Rift is probably where you’ll still find the more demanding VR titles that push the boundaries of the tech. It’s confirmed that Oculus Quest will utilize a 1600×1440 per eye resolution, which is a significant jump over other mainstream VR headsets on the market, as well as inside-out tracking powered by Oculus Insight. Oculus Insight uses the input from four wide angle sensors mounted on the Quest to create a real time image of the world around you that Insight then uses to track the movement of your headset and Quest touch controllers. This allows Quest to take advantage of full 6DoF movement and gives you all the freedom you would expect from multiple base stations without the need for a bulky static setup. If you’re interested we don’t have any solid release dates yet, but Oculus have announced that we’ll be seeing Quest hit retail this spring starting at $399 for the 64GB headset. For more on the announcements at Oculus Connect, including the reveal of a new Star Wars visit GameCrateVR game, .